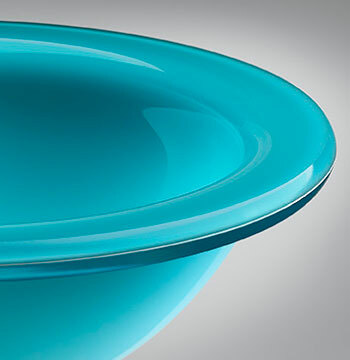 Azurlite will exhibit an overall medium aquamarine hue. White lamination creates a translucent finish for under-lighting and allows glass to be attached with adhesive to counter, vanities and Vitraform Pullman Pedestals. Refer to the Color & Finish guide for recommended use on individual products.